The 48-year-old guitarist spoke to Radio 4’s Kirsty Young about the famous family feud while taking part in Desert Island Discs on Sunday morning. “You gain some kind of strength from being in a band with family when eveyone around you is a complete stranger,” he said, before adding that such familiarity also means that “you know how to push each other’s buttons”. Arguments between the Gallaghers were a regular occurrence long before the group eventually split in 2009, with others always leaving the room until they were “just stood there arguing about something that just became completely irrelevant”. “The way it worked was, when were not slagging each other off, that’s when were telling each other that we loved each other," Noel continued. 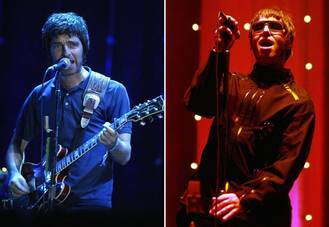 Despite his issues with Liam, however, Noel is still mighty proud of heyday Oasis. “On our day we were great," he said. "People are there now at my concerts that weren’t even born then and they are crying at Oasis songs. During the programme, Noel chose “Hand In Glove” by The Smiths, “Ticket to Ride” by The Beatles and “Voodoo Ray” by A Guy Called Gerald as his desert island discs, a guitar as his luxury item and travellers bible On the Road by Jack Kerouac as his book, revealing that it is the only novel he has ever read.